Cuisine Coffee is a restaurant chain that offer great quality of espresso coffee, ice-cream milkshakes, fruit smoothies, Italian sodas, tasty hot soups, custom-made deli sandwiches and many other delicious menu. They are renowned for their coffee variants of roasted beans specially manufactured by Coffee Roasters of Dillanos. Their rich and intense espresso coffee is mention worthy in this regard. Apart from this, they even serve cafe mocha, cafe latte, cappuccino, cafe' au lait, Americano, brewed coffee and even tea. Their special hot chocolate for kids is also famous among the children. The company began its operation in 1992 and offers 24-hour service. There are currently 0 consumer reviews about Cruisin Coffee available. Share your review. Please take a note that you are about to post a public review about Cruisin Coffee corporate office on CorporateOffice.com. This review will be public, so please do not post any of your personal information on this website. 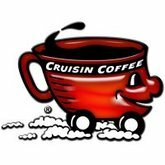 If you would like to contact the corporate offices of Cruisin Coffee, please use their contact information such as their phone number, website, and address listed above to contact them. However, sometimes staff from Cruisin Coffee headquarters do read the reviews on this website.